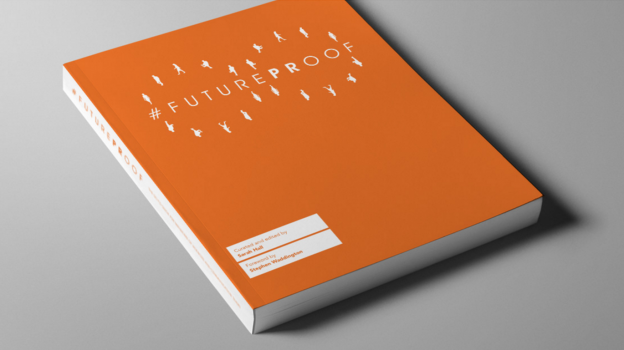 Today we joined PR and communications consultancies across the UK in welcoming the findings of the #FuturePRoof project. Backed by ICCO and the PRCA and delivered by Sarah Hall and Stephen Waddington, the project explores the future of agencies and includes research from industry leaders. We are heartened, if not surprised, that #FuturePRoof reports that progressive public relations agencies are rapidly modernising. In terms of embracing new skills in data, research and paid media, and investing in creative teams, we are doing ourselves proud it would appear. It also found that public relations is outsmarting rival disciplines through innovation, and innovation is everywhere in progressive PR companies, driven not only in response to client demand but in the face of huge media change. But it’s not all a cause for celebration as the project found we could all apply a little more innovation to our billing models. Well done to all involved, it’s great to see our industry working together to examine how we need to evolve for the future. The white paper called ‘Exploring the Public Relations Agency’ is available free as a download here and because we think it is essential reading for everyone, we’ve ordered it in softback, which you can do here.